Video based content is an essential part of digital marketing strategy due to its high likelihood of attracting potential customers, but advertisers and marketers have often pondered the usefulness of live streaming in this capacity. 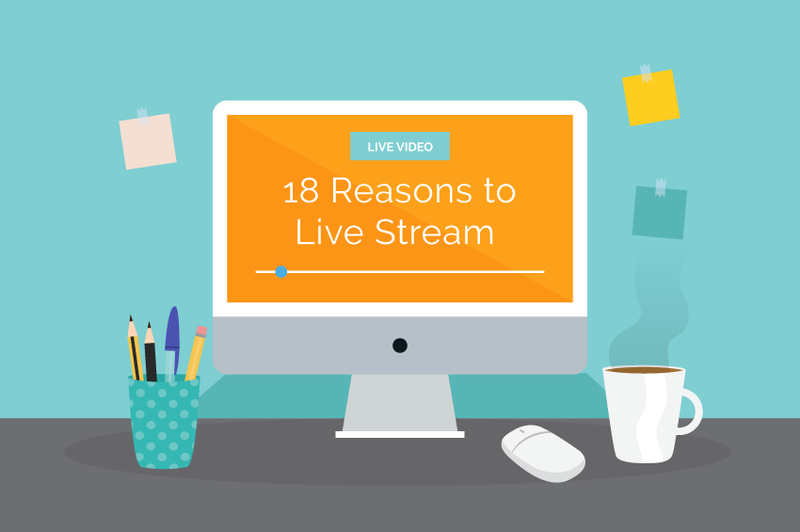 Live streaming actually offers numerous unique benefits when it comes to spreading the word about a particular product or service. For example, it can be set up as an event that people will have to attend, creating an air of exclusivity around whatever is being advertised. Up until recently, the goal of corporate social media was to establish authority, boost brand recognition and ultimately, to sell a product. While the goal hasn't changed, the methodology certainly has. Traditional marketing tactics have been put on the back burner because audiences want to see something new and existing - like live streaming. Live streaming also allows you to get the message to your followers quickly and easily, and enables you to provide updates as they come. Hence, it is effective in that it gives you direct communication with the people you are trying to advertise to. Live streaming also helps you to humanize brands, since a live stream is impossible to script. It gives potential customers the feeling that the product being advertised comes from real people just like them. In a way, it allows you to market to people without them realizing that they are being marketed to. If you want to learn more about the benefits of live streaming, take a peek at the infographic below, which comes courtesy of Zoominfo. 8 in 10 social media users rather watch live video from a brand's Facebook page than read a blog post. 45 percent of live video viewers would pay for live, exclusive, on-demand video from a favorite team, speaker or performer. 17 percent U.S internet users list Facebook Live as their preferred platform for consuming live videos. Almost 8 in 10 of marketers say live video facilitates a more authentic interaction with an audience.